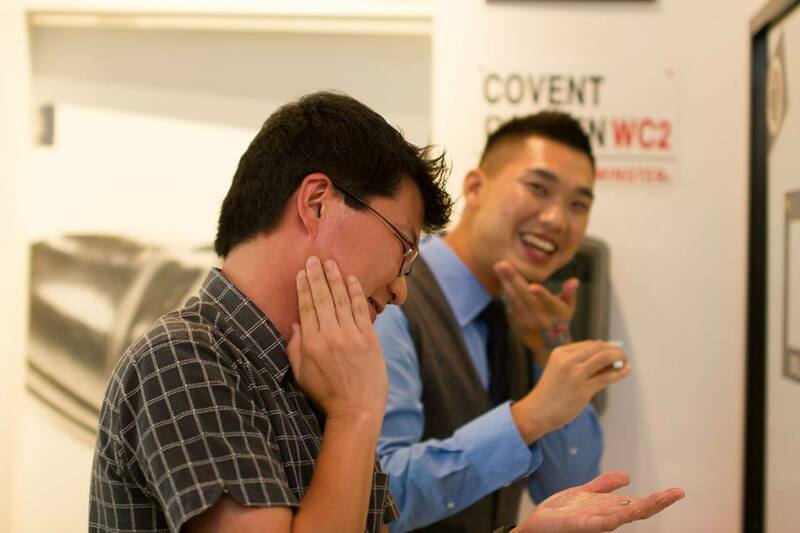 British skincare brand +Rehab London swings into Singapore with a full range of men’s grooming and skincare to refresh and rejuvenate Asian men after taking Europe by storm. Founder Lisa Hilton shares six easy-to-apply and uncomplicated products for the modern, busy Singaporean men. It was a hot and sunny afternoon when we arrived at London Bar (55 Boat Quay, Singapore 049844). I love the idea that the media event was held at this specially chosen venue, after all this label of men’s skin care originated from the UK. At the entrance, we were greeted by two shirtless models which actually made the warm day even hotter, and sent an endorphin rush for Tiffany Yong and I. +Rehab London is the brainchild of celebrity hair and make-up artist Lisa Hilton. Founder Lisa Hilton wants to develop a label of skin care that would appeal to the everyday real man, and at the same time promotes an environmentally-friendly lifestyle. Having worked with many male celebrities, Lisa realised that there wasn’t any natural skincare products that could relieve the damaged skin of her male clients, and hence +Rehab London was born. Using all-natural ingredients such as anti-ageing Rooibos extract and healing Ginseng, it’s no wonder that British celebrities such as Russell Brand, Robert Pattinson and Simon Cowell have all given their stamp of approval. Brought into Singapore by Natural and Free Living Pte Ltd, set up by sisters Monika and Yuanita Tjia who left the corporate world in pursuit of their passion to share the benefits of using natural products, good skin care and grooming regime. The company also pledge to contribute back to society, for every product sold, S$1 will be donated to the Singapore Environment Council (SEC) to promote environmental responsibility. 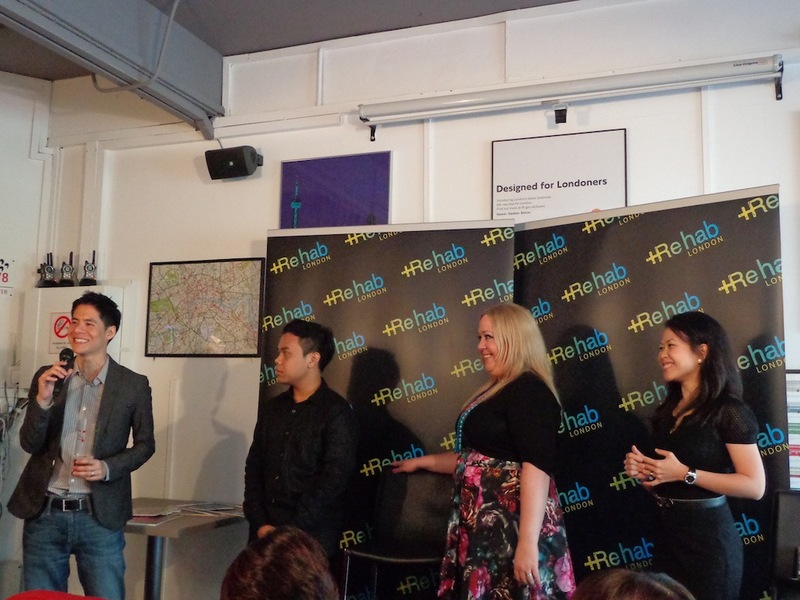 During the event, +Rehab London also unveiled their new spokesperson for Singapore. Former reality TV contestant, Howard Lo from Eye for a Guy 2 (2005) was appointed the brand ambassador. 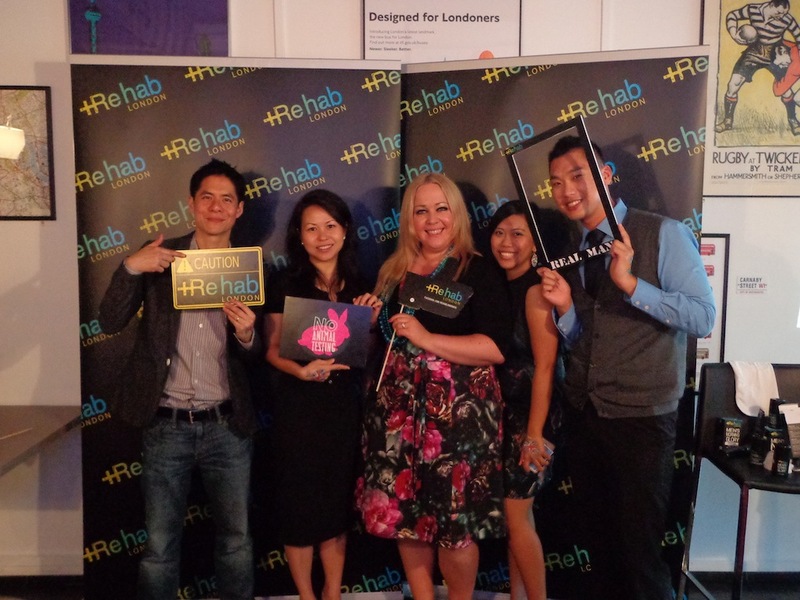 Howard is a true representation of +Rehab London’s target consumer – a man who wears many hats: a husband, tech blogger for ZDNet Asia and restaurateur in Singapore and Indonesia. The line consists of six products vital to any man’s skincare regime: Scrub Up Daily Detox, Calm Balm, Cold Turkey Shaving Gel, Morning Glory, No Shine, and Revive Survive. I’ve been addicted to the products ever since I received their sample kit at the event couple of weeks ago. +Rehab London products are fuss free and easy to use, especially when I was rushing to work in the morning or after a long day in office. I’ve been using the Men’s Scrub Up Daily Detox on alternate days to get my skin free of dust and to complete my skin care regime, I apply the Revive Survive (anti-fatigue cream) for a refreshing touch. The 2-in-1 facial cleanser and scrub to kickstart your day. It’s refreshing, leaves your skin clean, prevents blackhead and ingrown hairs. Pumpkin Enzyme: A natural hydrator, it helps to gently clear dead skin cells. Volcanic sand of Tahiti: A natural exfoliant that gently removes impurities. Bamboo: A natural exfoliant that gently remove impurities. AC Alg-MoistEAU: Hawaiian Water Algae. Shaving is now a painless affair with the Cold Turkey’s unique low foam clear formula that lets you see exactly where to shave; preventing ingrown hairs and sore red skin when manscaping. Argan Oil: Supports regeneration of the skin, restarts the vital functions of cells and neutralises free radicals, whilst providing a protective layer to lubricate the razor. Witch Hazel: A strong anti-oxidant and astringent useful for skin healing. Aloe Vera: Its rejuvenating, healing and soothing properties prevent sore red skin when shaving. This moisturiser nourishes and offers protection for over 12 hours; leaving the skin smooth and balanced, without leaving any nasty residue on the skin. Spice African Pepper: Nourishes the skin. Hawaiian Water Algae: Aids in cell renewal. Cocoa Seed Butter: Provides constant hydration, leaving a flawless and fresh complexion. This oil control moisturiser helps to combat shine and excess oil whilst still making the skin refreshed, bright and perfectly hydrated. Rooibos Extract: Rich in anti-allergenics which reduce effects of free radicals. Normaseb: Stops excess oil build-up. Hawaiian Water Algae: An Anti-oxidant and promotes cell renewal. Calm Balm is just another aftershave balm, it also soothes and heals the skin after sun exposure or any adverse weather reactions you may find yourself in; perfect companion to travel with. Rockweed: Smoothes and tones, moisturises and re-mineralises. Hawaiian Water Algae: Anti-oxidants, cell renewal. The ultimate anti-fatigue cream; slap this stuff on and ten minutes later, your skin looks visibly rejuvenated. Extremely useful after a long night out with mates or date. Hydrergy: Energising, rich in vitamins. Hawaiian Water Algae: Anti oxidants, cell renewal. +Rehab London is now available online at http://www.rehablondonsg.com and is retailing at Beauty Horizon and Beauty By Nature outlets. This entry was posted in Daily life, Events, Health and Fitness, Preview and Launch, Shopping, Singapore and tagged +rehab london sg, aftershave, aftershave balm, all natural ingredients skincare for men, aloe vera, anti-fatigue cream, argan oil, bamboo, boat quay, boat quay singapore, brand ambassador, british celebrities, british skincare, british skincare for men, Calm Balm, celebrity make up artist, clear shaving gel, cocoa seed butter, cold turkey, Cold Turkey Shaving Gel, daily scrub, endorphin rush, environmentally friendly skincare, eye for a guy 2, for men, ginseng, hawaiian water algae, hot hunks, hot male models, howard lo, hunks, Hydrergy, lisa hilton, london bar, men skincare, men's grooming regime, men's skincare, microsoft, moisturiser, Morning Glory, morning moisturiser, natural and free living, natural and free living pte ltd, natural ingredients, natural skincare products, new mens skincare, new skincare for men, No Shine, no shine moisturiser, Normaseb, post shave balm, Pumpkin Enzyme, real man, reality tv, rehab london, rehab london grooming, rehab london men, rehab london men's grooming, rehab london men's skin care, rehab london mens skincare, rehab london no shine, rehab london review, rehab london revive survive, rehab london singapore, restaurateur, Revive Survive, robert pattinson, rockweed, rooibos extract, russell brand, Scrub Up Daily Detox, shaving gel, shirtless models, simon cowell, singapore environment council, skincare from europe, spice african pepper, standing sushi bar, super adrian me, superadrianme, tech blogger, tiffany yong, transparent shaving gel, uk, united kingdom, Volcanic sand of Tahiti, what skincare does simon cowell use, witch hazel, zdnet asia. Bookmark the permalink.